Police have now arrested 2 men in the Jussie Smollett investigation — 2 men with ties to “Empire” — and TMZ has learned they were booked for battery. 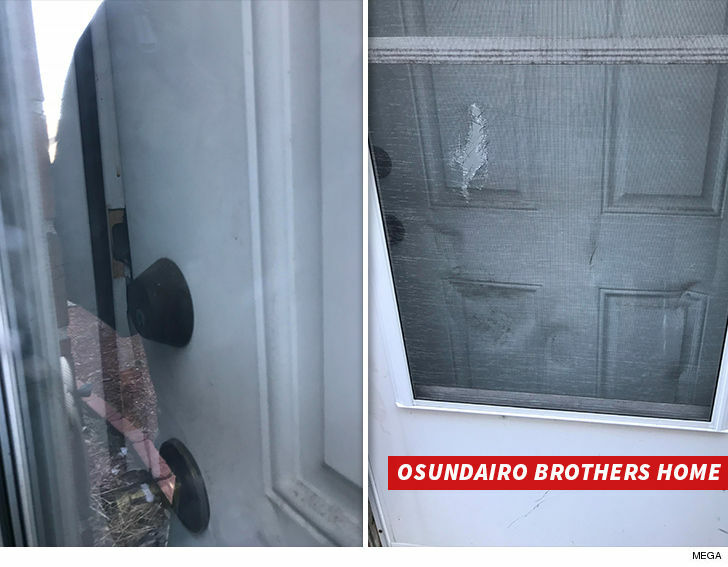 The men are brothers from Nigeria named Olabinjo and Abimbola Osundairo, and Chicago cops are now calling them “potential suspects” … as opposed to persons of interest. We know it was their home cops raided Wednesday and seized a long list of potential evidence … including several bottles of bleach. As we reported … cops picked up Ola and Abel, their nicknames, on Wednesday night at O’Hare Airport. The Osundairos, from Nigeria, just don’t fit that profile. As you know, Jussie has stated the men in the dark, grainy image released last month are definitely his attackers. Police are not confirming the Osundairo brothers are the men in that photo. Both brothers describe themselves online as actors and models.